Quarter radicchio and romaine through the core. Grill radicchio and romaine lightly and quickly so that just the edges are lightly charred. 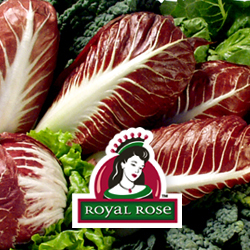 Chill the radicchio and romaine and then cut or tear into salad-sized leaves. Mix in mango and pecans right before adding the dressing. Mix dressing and toss salad.